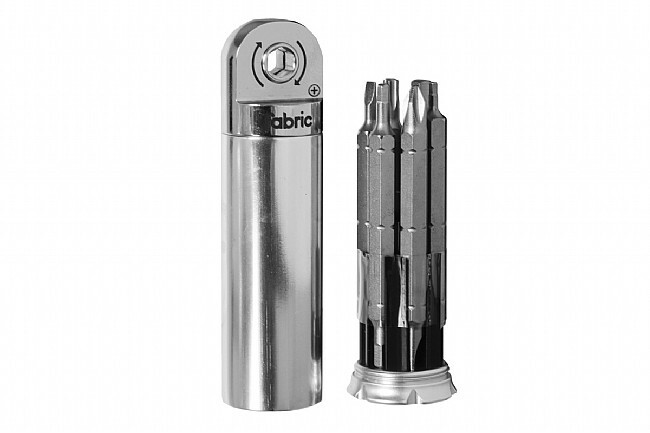 Pack your saddle bag or jersey pocket with a piece that means business with the Fabric Chamber Multi-Tool. Six long double-ended bits and one 8 mm hex over-bit are housed inside a lightweight alloy cover for amazing portability that won't snag on your kit or puncture the spare tube in your tool roll. 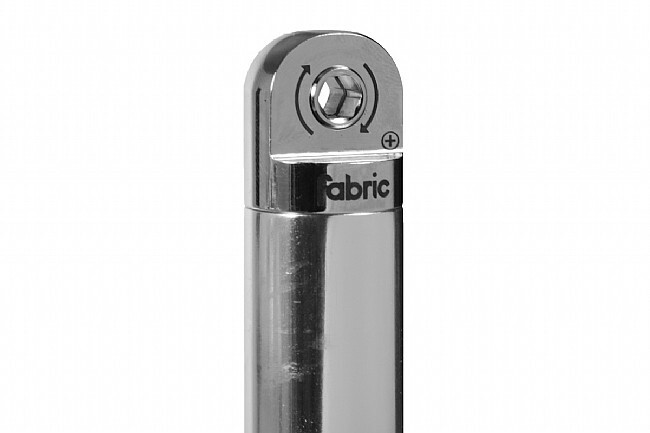 The top of the cover on this ratchet version creates a reversible, ratcheting T-joint with any of the 6 bits for excellent leverage, and 3-different clamp points allow for different length adjustments for those hard to reach areas.